In North Dakota, 13 Carnegie Libraries were built between 1901 and 1916. The Carnegie Foundation had three requirements for receiving funding. First the area would have to need a library, a location had to be secured with annual funding, equaling the amount of the grant. In March of 1902, Grafton citizens wrote a letter asking for a grant not to exceed $10,000 for the library building. Citizens of Grafton started a campaign that raised $1,240 and the construction began. The library opened on January 28, 1904. 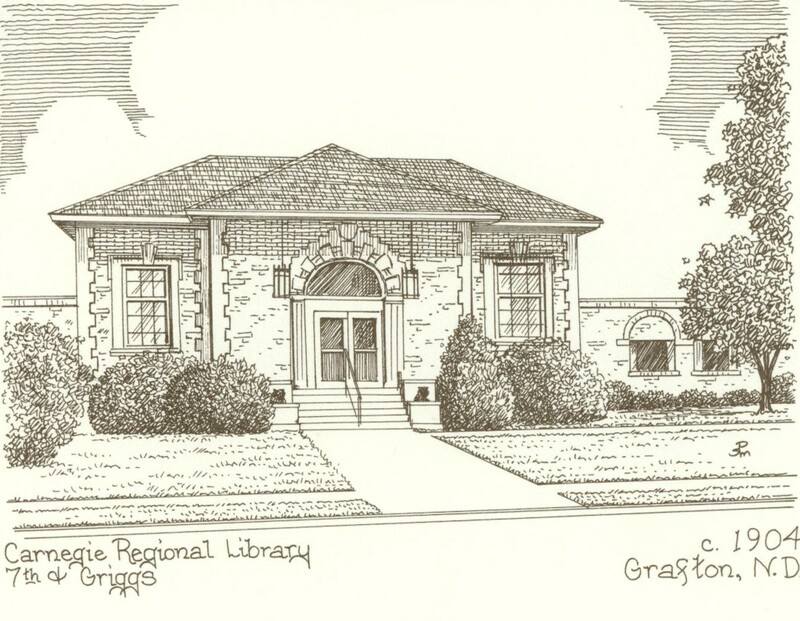 Grafton was the first in North Dakota to establish a free public library and reading room in 1896, and the first city to have a Carnegie Library. Grafton was also the first to combine the service of a bookmobile library along with a city library, forming a multi county/city library region. Also, Carnegie Regional Library in Grafton was the first library in the state to receive funds from the Department of Defense during the ballistic missile years. Carnegie Regional Library started the work of adding on to the library in 1970 when a grant from the federal government and the Oscar Monson estate were made available. Since then the library has undergone several changes over the years, but it still has the same at home feel it always has.